Rapid City, South Dakota makes the perfect base for exploring the Black Hills and Badlands. 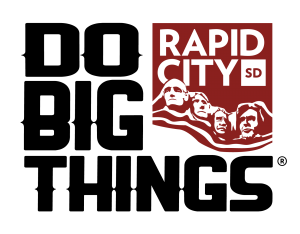 From Native American culture to parks, monuments and memorials all located within an hour’s drive, Rapid City offers a contemporary vibe and a deeply meaningful and rich cultural heritage for any explorer. Favored for its immediate access to national treasures and hidden gems in the region, Rapid City is centrally located to epic monuments like Mount Rushmore National Memorial and the ongoing carving of Crazy Horse Memorial, a tribute to the Native American leader. Discover the beauty of majestic Badlands National Park or be as free as the bison that call this land home in Custer State Park. Downtown Rapid City makes the perfect complement to a Black Hills adventure, combining urban pleasures and local flair for a ‘Main Street’ America experience. Trek through the area’s 2.5 billion year history at The Journey Museum & Learning Center. In the heart of downtown, find Main Street Square, a fun-filled public space hosting more than 150 special events each year ranging from live concerts to family friendly festivals. The Square is also home to The Sculpture Project: Passage of Wind and Water showcasing the region’s legacy of transformation, change and hope. Around the corner lies Art Alley, where artists’ exuberant and colorful expressions captivate from building to building. A favorite among locals and visitors, the free spirits who have offered their talents to this unique public arts project aren’t afraid to dream big. Palate pleasing restaurants, wineries, breweries and an assortment of boutiques and shops are surrounded by the City of Presidents, a series of life-sized bronze sculptures of the nation’s past leaders serve as a reminder of America’s legacy. For authentic hand-crafted Native American gifts, immerse yourself in Prairie Edge Trading Co. & Galleries. Finding your way to Rapid City is seamless and within a day’s drive of gateway cities Denver, Minneapolis and Chicago. 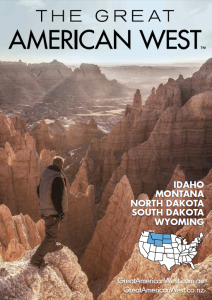 Direct air service into Rapid City is also available via American, Delta, United and Allegiant Airlines. A broad spectrum of lodging options await. Whether you prefer traditional, contemporary or eco-friendly amenities, a grand setting with rich history or the hospitality of well-known brands, you will find a favorite place to stay in Rapid City within your budget and taste. The dramatic views and spectacular scenery of the Black Hills coupled with a local culture that’s rich with history and artistic expression make Rapid City your ideal home base that will leave you both inspired and satisfied. Keep your heart racing at VisitRapidCity.com.